The important role of a trustee is crucial to the successful administration of a trust. A trustee is “trusted” individual who is responsible for making sure the provisions of the trust agreement are followed. Trustees are basically responsible for management of the trust property, including maintaining accurate records of every transaction taken that relates to the trust property. This is an important responsibility. Our trust administration staff is here to steer you clear of some of the most common problems that arise in trust administration. One of the basic requirements of any trustee is to always manage the trust and its assets in a way that serves the interests of the trust beneficiaries. Trustees are also required to comply with the regulations set out by the Uniform Prudent Investor Act, which is a law that protects beneficiaries from the improper investment choices of trustees. This particular law makes it so that trustees can be held liable for any investment losses, missed opportunities, or loss profits that beneficiaries could have received had the trustee been more prudent with investment choices. So, be sure that you fulfill your fiduciary duties. If you have any questions or concerns, contact one of our Sacramento trust administration attorneys for advice. In light of the significant responsibility of a trustee, it is important to seek advice or assistance from the right professional if you need to, particularly when it comes to investments. In fact, management of investments is one of the most highly litigated legal issues related to trust administration. In cases where trust beneficiaries disagree with how a trust was administered and then file a lawsuit, dealing with that issue can be costly and time-consuming. Consequently, trust assets may be wasted on legal fees in defense of that suit. Another part of being a fiduciary is being able to look beyond your own interests and make sure to follow all of the provisions of the trust agreement whenever you make decisions regarding the trust property. This might seem simple, but if you are related to any of the beneficiaries of the trust or have emotional ties to the family, remaining neutral may take some effort. 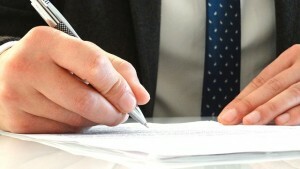 If you are unsure about how to handle a particular part of trust administration, then contact our firm for assistance. Another important duty of a trustee is to maintain an accurate and complete reporting of every transaction that involves the trust assets. A trustee must be able to provide that reporting whenever requested. 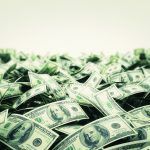 As all Sacramento trust administration attorneys can tell you, another highly litigated issue related to trust administration is an improper accounting. Therefore, it is very important that, as trustee, you understand this responsibility as well as the risk of liability if you do not fulfill that responsibility. As trustee, you are not only required to make appropriate investments and properly manage the trust assets, but also to prepare the necessary tax returns for the trust and provide accountings to the beneficiaries, as requested. Each decision you make that is related to the trust assets needs to be documented. This is especially true for decisions you make approving or denying distributions. Consequently, any disputes that arise can be handled properly because you will be prepared to defend your decisions and protect yourself from personal liability. For those who are preparing to create a trust and need to choose the appropriate trustee to manage that trust, you should discuss your options with your estate planning attorney. You should select someone whom you believe can provide careful management of trust assets, exercise the proper level of attentiveness when carrying out the provisions of the trust. It should also be someone who has the ability to put the interests of your beneficiaries above everyone else. More importantly, your trustee needs to be able to establish and maintain a relationship with your beneficiaries and their families during the time your trust is being administered. 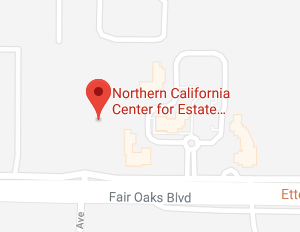 If you have questions regarding trust administration, or any other estate planning needs, please contact the Northern California Center for Estate Planning and Elder Law, either online or by calling us at (916) 437-3500.